We're here to help! If your question isn't answered here please contact us. You can telephone us on 0345 475 1815 or (from outside the United Kingdom) +44 1722 340699 to discuss any tour, enquire about availability or reserve and pay for your trip. Please make sure that you have your passport handy and that you have read our booking conditions. We will acknowledge your booking within 10 days of its receipt by way of a confirmation invoice and Travel Trust Association financial guarantee certificate. If you wish to extend your stay following the tour do let us know at the time of booking and we will make all the necessary travel arrangements to enable you seamless travel. We can suggest options if you are short on ideas but know you would like to make more of your time whilst abroad. Are there any additional/hidden costs? You will need spending money for extra drinks, lunches (if booking a tour where lunches are not included) and spending money. Please read your "Holiday essentials" for details on what is included on your tour. Can I fly from a regional airport? Our tours all depart from London but we are able to arrange / offer prices on connections from your local airport. Can I meet you 'in country'? If you prefer to meet us 'in country' and book your own flights please ask us for a land-only cost. You will be responsible for making your own arrangements for meeting the rest of the group, though we can advise you. We need to know if you do not require our group flight as early as possible. Do I carry my own luggage? We do not offer porterage on our tours so you will be responsible for your own luggage whilst in transit. We recommend sturdy suitcases with wheels to reduce the amount of carrying time. Do I need travel/trip insurance if I sign up to a tour? Yes, it is a condition you agree to when booking on any of our tours. Our partners, Holiday Extras, provide reliable holiday insurance you can trust. Without compensating your cover for lower premiums, you’ll receive great levels of financial protection and the best prices to match every time you book. So, if you’d like to get a quote, please call 0800 093 1900 and quote the code U6964 or to book online click here. Do I pay for my visa? The cost of visas is NOT included in the price of your tour. Approximately eight weeks prior to your departure we will mail you the requisite supporting documentation for your visa application together with the relevant embassy contact details and the name of our visa handling company. Of the countries we plan to visit in this programme presently Russia, Belarus, India, Uzbekistan and Turkey require visas to be obtained in advance. The USA requires advance ESTA authorisation. Please note, whilst we will help you with your visa application where possible, we may not be able to help in all instances and will refer you to the consulate of the country you are travelling to as requirements change on a regular basis. TCE are not responsible for you receiving a visa and if for any reason a visa is denied you will still be liable for cancellation fees. How am I protected financially? The Cultural Experience takes your financial protection very seriously. 2. flight inclusive packages that commence outside of the EU, which are sold to customers outside of the EU; and. 3. flight inclusive packages, flight only and linked travel arrangements (LTAs ) sold as a principal under ABTOT Combined. ABTOT Combined cover provides for a refund in the event you have not yet travelled or repatriation if you are abroad. Please note that bookings made outside the EU are only protected by ABTOT when purchased directly with Midas Tours Limited t/a The Cultural Experience. In the unlikely event that you require assistance whilst abroad due to our financial failure, please call their 24/7 helpline on 01702 811397 and advise you are a customer of an ABTOT protected travel company. When you buy an ATOL protected flight or flight inclusive holiday from us, you will receive an ATOL Certificate. This lists what is financially protected, where you can get information on what this means for you and who to contact if things go wrong. The price of our ATOL-protected flight inclusive Packages includes the amount of £2.50 per person as part of the ATOL Protection Contribution (APC) we pay to the CAA. This charge is included in our advertised prices. 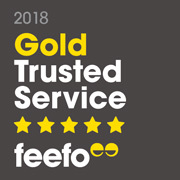 We, or the suppliers identified on your ATOL Certificate or holiday itinerary, will provide you with the services listed on the ATOL Certificate or itinerary (or a suitable alternative). In some cases, where neither we nor the supplier are able to do so for reasons of insolvency, an alternative ATOL holder or supplier may provide you with the services you have bought or a suitable alternative (at no extra cost to you). You agree to accept that in those circumstances the alternative ATOL holder or supplier will perform those obligations and you agree to pay any money outstanding to be paid by you under your contract to that alternative ATOL holder or supplier. However, you also agree that in some cases it will not be possible to appoint an alternative ATOL holder or supplier, in which case you will be entitled to make a claim under the ABTOT Combined scheme.  If we, or the suppliers identified on your ATOL certificate or holiday itinerary, are unable to provide the services listed (or a suitable alternative, through an alternative ATOL holder, alternative supplier or otherwise) for reasons of insolvency, ABTOT Limited may make a payment to (or confer a benefit on) you under the ABTOT Combined scheme. You agree that in return for such a payment or benefit you assign absolutely to ABTOT Limited any claims which you have or may have arising out of or relating to the non-provision of the services, including any claim against us, the travel agent (or your credit card issuer where applicable). You also agree that any such claims may be re-assigned to another body, if that other body has paid sums you have claimed under the ABTOT Combined scheme. How much am i expected to tip? Your tour guide will pay all tips at restaurants so you do not need to tip here unless you particularly want to. Our tour guides and tour managers do not expect to be tipped. If you would like to tip your driver please feel free to do so. I could organise a tour like this for myself, couldn't I? We take you precisely where you need to be to study the history that occurred. You don’t have to rent a car or make your own hotel reservations. It can be more difficult to find the actual battlefields, landmarks and other important sites than you would expect. We also have a full-time historian on our tours, who adds immensely to your experience. My traveling companion is not as interested in history as I am. Would they still enjoy your tours? Yes. We often have travelers who do not share the same passion for history as their traveling companion, but we always find that after a day or two into the tour that they are enjoying it much more than they expected. What are the coaches you use like? We use modern, comfortable, spacious, air-conditioned coaches on all our tours. But their specification will be dependent upon the group size and therefore we cannot guarantee that WC facilities will be available on board, although we will ensure that we make regular comfort stops. What are the hotels like on your tours? A considerable amount of effort has gone into identifying high quality, comfortable accommodation for our guests. The majority of our hotels are four star or above, but occasionally our search for historical locations takes us well 'off the beaten track' and we may settle for a good three star establishment. All hotels have been selected for their character, location and facilities – often they have a historic link to the tour theme. You will find breakfasts served in your hotel each morning. We normally stop during the middle of the day so you can purchase a light lunch – or provide one. When it comes to the evening meal, many of the hotels we select specialize in regional cuisine – alternatively we will dine at local restaurants within walking distance, where we will always try to ensure that menu choice is available. Wine will be included with evening meals, along with tea/coffee to round off the evening. Other beverages will need to be purchased by yourself. Being vegetarian or having other dietary requirements is not usually a problem provided you let us know well in advance. What kind of people and how many can I expect on the tour with me? A particular feature of our tours is their informality and inclusiveness. Our groups are drawn from a wide spectrum of backgrounds and interests – but the common theme and the skill of the tour guide/manager ensures that everyone feels welcome and relaxed. Customers get to know each other well and, if not already, become great friends. For that reason we have restricted the numbers on each tour to between 6 and 20. This means that we can include more in our daily activities as there is less time spent waiting for others to catch up. Small groups are also welcomed by local restaurants which results in a greater variety in dining. And most importantly, it means that you can spend more time with our expert tour guides and, should you require it, get more attention from our experienced tour managers. When will I receive further information for you following my booking? 2-3 weeks prior to departure we will send your ‘joining instructions’ which will include all travel details including flight times and sometimes a handbook for the tour, containing maps and historical content and a reading list. Where can I get the latest travel advice? We recommend you check the latest Foreign Office advice for the country you are travelling to prior to departure, particularly the Know Before You Go programme. We will advise you of any significant changes in advice before travel or whilst you are overseas. Where should I buy adapters / transformers? We recommend that you buy adapters / transformers in your own country as it will be difficult for you to source them when on tour. Will I be able to do laundry at the hotel? This will be dependent on how long you are staying at one hotel. On many tours we may only stay for one night in each hotel so laundry will not be possible. If your tour stays for more than one night it may be possible but you will need to check with the hotel directly. Most 4* hotels will provide a laundry service but we cannot guarantee this. Will I be fit enough to fully take part? All tours involve a fair amount of walking often over uneven ground, hillsides or steps. Participants on all tours should be able to walk or stand for at least 60 minutes without aid or requiring a rest. To help you gauge your own fitness we have graded our tours with Activity Levels 1, 2 and 3. 1 being the easiest end of the scale.